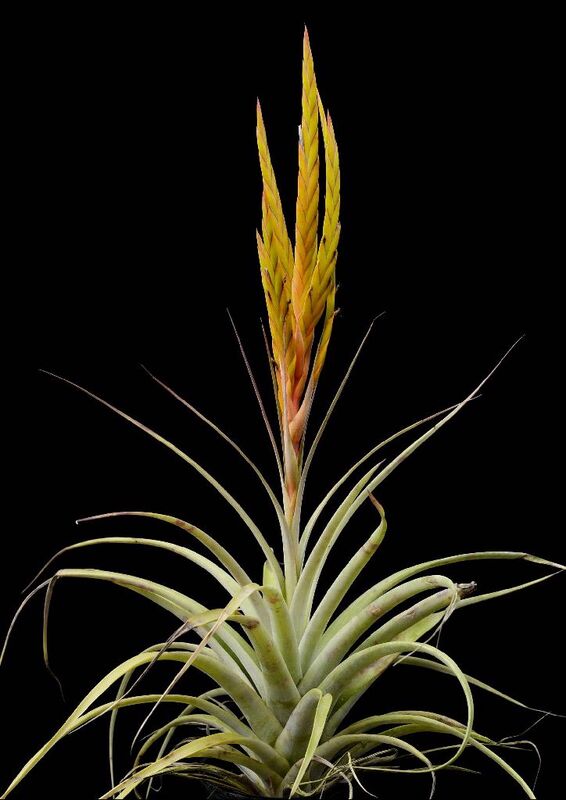 From Peter Tristram... "T. guenther-nolleri is a relatively recently described Tillandsia. Its story is quite interesting (see Derek Butcher's dvd) and I wonder whether I have the smaller form as this one was only 1m long when it bloomed. The petals are an interesting burgundy and cream colour." 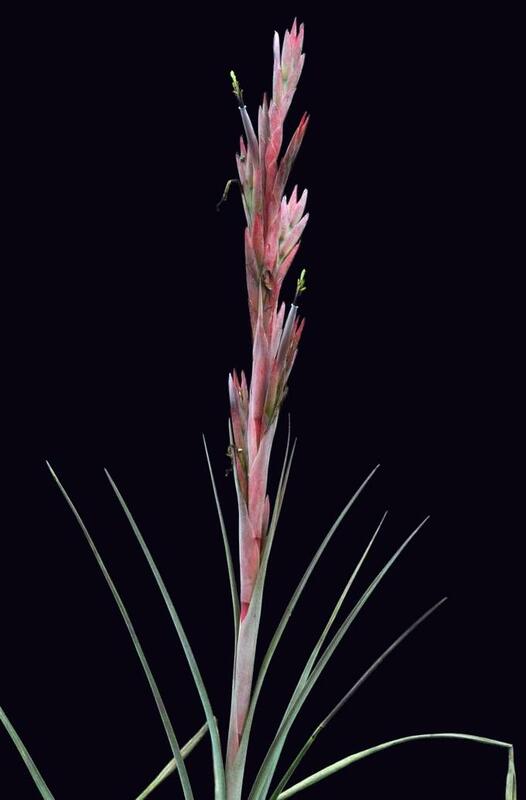 From Peter Tristram... "This is a big species in the sense that the spike is 1.5m tall as is the spread of the plant. 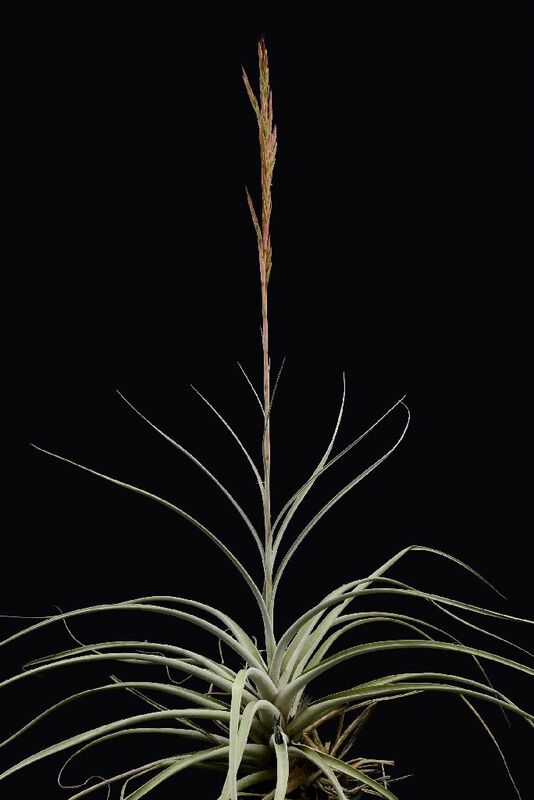 This one came from Pam quite a few years ago and is somewhat larger than what Lydia sells as guenther-nolleri, which was suggested could be a natural hybrid, though it just looks like a more compact version. This one matches the habitat photos very well too. Unfortunately I missed the flowers which were slightly light greyish purple from memory. I think I posted pics of Lydia’s plant a year or two back. 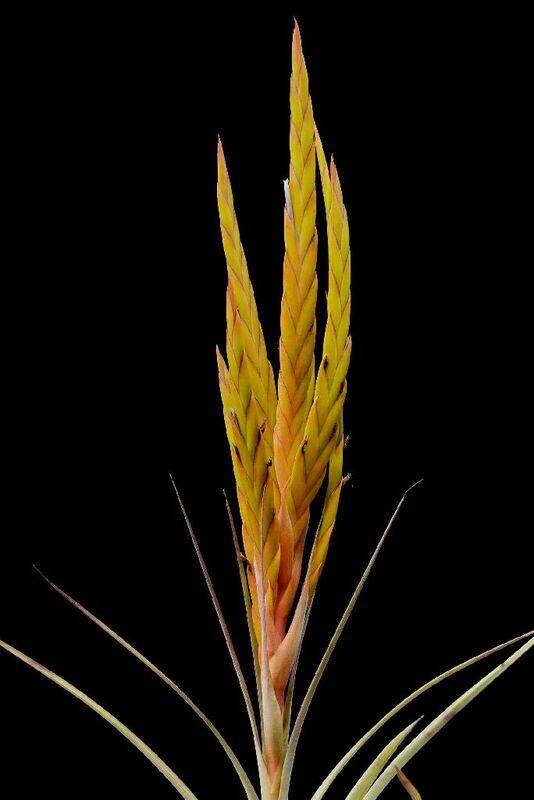 The pic (on left) is another plant I have obtained as this species from Lydia (twice now) which certainly doesn’t match too well. It is also slightly caulescent and could well have been collected in the same area. 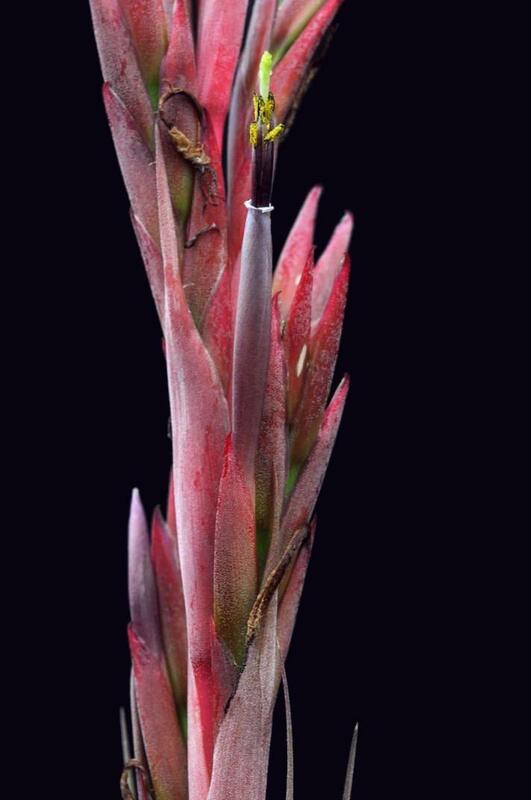 The flowers are very similar to those on Pam’s plant too."